Spice has introduced another budget smartphone in India, Spice Smart Flo Mettle 4x, which is meant for first time android users. 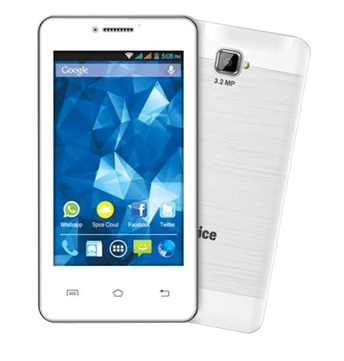 The phone sports humble budget specifications and has been priced at Rs. 4,299. The Dual SIM smartphone bears 4 inch display with WVGA resolution. The display resolution is above average considering the price range and will give you pixel density of 233 ppi which is pretty usable considering the screen size. The Processor used is 1 GHz Dual core processor which seems quite primitive. The RAM capacity of 256 MB is a major limitation and will diminish your android experience. The internal storage is 512 MB which is again very less and will suffice for the bare minimum. The primary camera in this smartphone is of 3.2 MP and the secondary camera is of 1.3 MP. The battery capacity is 1450 mAh which is again average. On the software front this phone runs on Android 4.2 jelly bean operating system. The phone will provide you with very limited Android experience and will compete with phones like Intex Cloud X3 and Lava Iris 356. You can buy this phone if you want to switch from feature phone to basic android. You can also opt for phones like Nokia Asha 502 and Xolo A500S for little extra money.